DAYTONA BEACH, Fla. - Jan. 31, 2018 - PRLog -- Dr. Wendy Myers, chief executive officer and president of Florida Health Care Plans, is pleased to announce Dr. Robert Bianco has joined the organization's medical provider team. 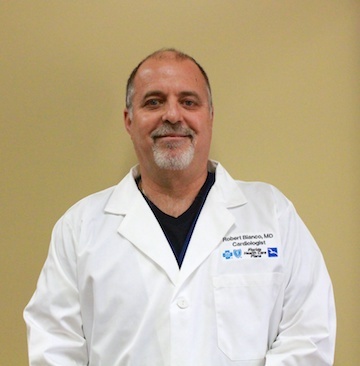 Dr. Bianco is a cardiologist in Palm Coast and is affiliated with multiple hospitals in the area, including Florida Hospital-Flagler and Halifax Health Medical Center of Daytona Beach. He received his medical degree from Universidad del Noreste and has been in practice for more than 20 years. Dr. Bianco is certified in internal medicine by the American Board of Internal Medicine. Dr. Bianco is one of eight doctors at Florida Hospital Flagler and one of 31 cardiovascular specialists at Halifax Health Medical Center of Daytona Beach. FHCP opened in 1974 and is the longest recognized federally recognized Health Maintenance Organization (HMO) in Florida. The organization serves 81,000 members in Volusia, Flagler, Seminole, St. Johns and Brevard Counties including group/employer, Medicare Advantage, and individual ACA/Exchange members.